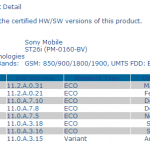 Sony has roll out a firmware update for Xperia Tablet S and it seems Sony has not forgotten it yet. 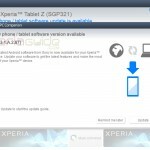 Android 4.1.1 release3 firmware update has been rolled on Xeria Tablet S global version along with Xperia Tablet S Wi-Fi version models SGPT121JP / S, SGPT122JP / S, SGPT123JP / S from the android 4.1.1 release2 firmware. 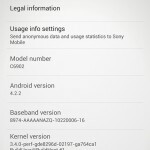 Xperia Tablet S Android 4.1.1 release3 firmware update has been confirmed in Japan, Australia, US and Europe so far, so if you have got the notification for update, get it done. 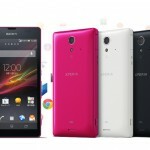 To install this Android 4.1.1 release3 firmware on your Xperia Tablet S, you need atleast 300 MB of free space on internal storage. More accurate clock time now. Above mentioned is the only official changelog presented by Sony yet. It is sad that Xperia Tablet S still features android 4.1.1 Jelly Bean and no official statement from Sony has come whether it will get further updates or not. If you have got the update on your Xperia Tablet S, let us know what more it has brought for the users under the hood. Drop your comments below. I updated my tablet last night. I have not seen any improvements yet but i did see a problem. The screen rotate function will only work from time to time…. not all the time. It seems that Sony doesn’t think this is important. I also have another problem: there are device beeing sold that have Android 4.4 and Sony updates it’s devices to 4.1.1 release 3????? I’m I the only one who thinks this is stupid? And further more: 411 Mb for a accurate clock? It was a very large file and all for nothing. So is there any word out yet on whether this tablet will get further updates? Will it even get android 4.2 if not 4.4? Coz i think right now it runs 4.1 right?